...my beautiful, my beautiful balloon," sang the Fifth Dimension in 1967. A hot air balloon race is like no other race. The beginning of the race will be mesmerizing to watch with its mass ascension of the balloons as they launch one after another. Instead of the winner being the first over a finish line, the winner is determined by how close to a target the balloon pilot can drop a marker. What makes the race even more interesting is that the wind, not the pilot, decides where the balloon will go. 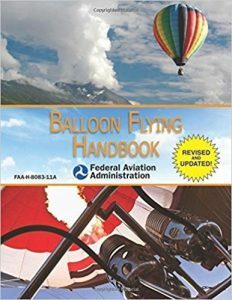 It will be up, up and away for everyone from these titles from our digital collections. His accounts of the early Anglo-French balloon rivalries, the crazy firework flights of the beautiful Sophie Blanchard, the long-distance voyages of the American entrepreneur John Wise and French photographer Felix Nadar are dramatic and exhilarating. Holmes documents as well the balloons used to observe the horrors of modern battle during the Civil War (including a flight taken by George Armstrong Custer); the legendary tale of at least sixty-seven manned balloons that escaped from Paris (the first successful civilian airlift in history) during the Prussian siege of 1870-71; the high-altitude exploits of James Glaisher (who rose) seven miles above the earth without oxygen, helping to establish the new science of meteorology); and how Mary Shelley, Edgar Allan Poe, and Jules Verne felt the imaginative impact of flight and allowed it to soar in their work. 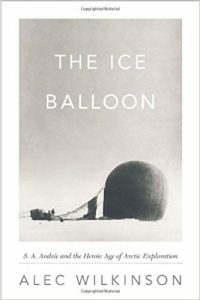 In this grand and astonishing tale, Alec Wilkinson brings us the story of S. A. Andrée, the visionary Swedish aeronaut who, in 1897, during the great age of Arctic endeavor, left to discover the North Pole by flying to it in a hydrogen balloon. Called by a British military officer "the most original and remarkable attempt ever made in Arctic exploration," Andrée's expedition was followed by nearly the entire world, and it made him an international legend. 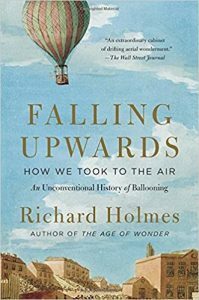 This historical study investigates the military effectiveness and combat power of Civil War balloons. The categories inherent to military effectiveness include timeliness, accuracy, usefulness, operational considerations, and logistics. 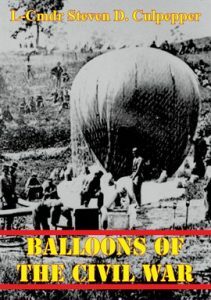 Limited by available material, especially those documenting Confederate efforts, this paper highlights the history of ballooning prior to the Civil War, and focuses on the Union balloon operations during the initial fall and winter of 1861-2, the Peninsular campaign, and Chancellorsville. The analysis of the measures of effectiveness from these three periods indicates the Union balloon corps amply validated its worth. War, however, is more than just a science. In this case, the "art" of warfare better explains the collapse of Thaddeus Lowe's organization after Chancellorsville. The first two modern implications of this case study involve both the unfavorable impact of personality, and the commander's influence on the assimilation of new technology. Are we better today at bringing on line the benefits associated with technology? The final point links to the concept of battle command. With the massive infusion of information available to the modern commander, are we still sending him to the lions without a whip?